Genesco's Credit Card Processing System Hacked ! Specialty retailer Genesco Inc. said Friday that it suffered a criminal intrusion into the part of its computer network that processes payment card transactions and certain details of cards might have been compromised, but added that the intrusion was likely contained after the company took immediate steps to secure the affected part of its network. 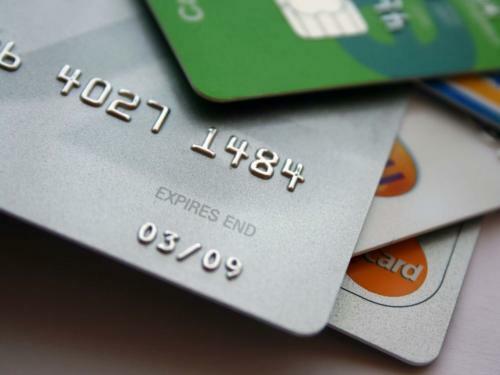 The company expressed confidence that customers can now safely use their credit and debit cards in its stores. Nashville, Tennessee-based Genesco said that the portion of its computer network that processes payment card transactions for its United States Journeys, Journeys Kidz, Shi by Journeys and Johnston & Murphy stores, and for some of its Underground Station stores suffered a criminal intrusion. While the extent of the intrusion was not known at the current point of time, the company said it is conducting a probe with the help of an outside expert to determine the extent of any possible compromise of customer information that occurred in the intrusion. Robert Dennis, Chairman, President and Chief Executive Officer of Genesco said, "Since we learned of the intrusion, we have worked diligently with outside experts to protect our customers' information and we are confident that they are safe shopping with their credit and debit cards at our stores. We recommend that our customers review their card statements and other account information carefully and immediately notify their card issuer if they suspect fraudulent use. We sincerely regret any inconvenience this attack on our network may cause our customers." Genesco noted it was possible that the credit or debit card number, expiration date and card verification code contained on the magnetic stripe of some payment cards used at stores in the affected chains may have been compromised during the intrusion. However, the company said it currently has no reason to believe that personal information, such as names, addresses or Social Security numbers, was acquired by the intruder. Further, the company said that payment card transactions in any of its e-commerce or catalog businesses, Lids Sports businesses, or its Canadian stores did not seem to be affected by the intrusion. Genesco said it has notified law enforcement authorities as well as the major payment card brands and is cooperating with them to identify those responsible for the intrusion. On Wednesday, Mastercard Inc. said its website was experiencing heavy traffic, but credit card use was not affected. The company made no comment on whether the website had been taken down by hackers. The media had earlier reported a series of hacker attacks on various websites belonging to organizations that have denied service to Wikileaks, the whistleblower website. Mastercard had said on Monday that 'it would no longer process donations" to Wikileaks, terming the site's activities "illegal". Paypal, Visa Inc. and other banks previously connected to Wikileaks also severed their ties with Wikileaks. These companies withdrew services to the controversial website after it leaked secret U.S. diplomatic cables. In retaliation, hackers in support of Wikileaks brought down the websites of the credit card giants. In Friday's regular trading session, GCO is trading at $38.86, up $0.20 or 0.52% on a volume of 1,580 shares. The stock has been trading in a range of $21.00-$41.20 in the past 52 weeks.